There were 341 press releases posted in the last 24 hours and 153,424 in the last 365 days. Tooth decay is mostly preventable, but many parents are unaware how to best help their children combat this significant health risk. NEW YORK, NY, UNITED STATES, February 5, 2014 /EINPresswire.com/ -- According to Dr. Barry L. Jacobson, DMD, FAAPD, (www.949pediatricdentistry.com), a leader in New York pediatric dentistry, The American Academy of Pediatric Dentistry's (AAPD) recently released its first-ever “State of Little Teeth Report” and it found that tooth decay is a significant threat to the health and welfare of American Children. “Detailed in the report is a survey which found that forty percent of parents do not schedule their child’s first dental visit until after the age of two,” says Dr. Jacobson. “However, studies have shown that waiting this long can negatively impact a child’s health.” According to the 2007 Report by the Centers for Disease Control and Prevention (the most current report to date), cavities have increased for toddlers and preschoolers. Cavities in children ages 2 to 5 increased from 24 percent to 28 percent. Dr. Jacobson has been at the forefront of pediatric dentistry for more than 17 years, as a leader in finding new and innovative ways to treat young people. He says that good oral health is something that needs to begin in the earliest stages of a child’s life. In response to the threat of tooth decay in children, Dr. Jacobson says that the AAPD is launching the “Monster-Free Mouths Movement,” which is an educational campaign to arm parents and caregivers with important tools and information needed to help fight tooth. Dr. Jacobson says that children should begin seeing a pediatric dentists starting at 12 months and should go in for a visit every six months after that. More importantly, it is crucial that parents learn the skills necessary to ensure that their child’s oral health habit starts at an early age. For 17 years, Dr. Barry L. Jacobson DMD, FAAPD, has been a leader in pediatric dental care. 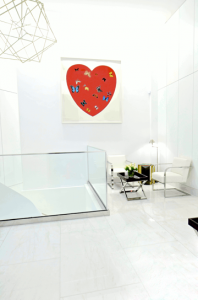 His practice, located at 949 Park Avenue, New York, NY, offers laser dentistry for children, cosmetic dentistry for children, preoperative dental care for children, soft tissue procedures, baby bottle tooth decay treatment, 3D CAD-CAM crown fabrication, porcelain fillings, and treatment of fearful children, with behavior management experts on hand. Call 212-997-6453 (212-99-SMILE) for more information or visit Dr. Jacobson’s website at www.949pediatricdentistry.com).